Samsung launched two of its most coveted flagship devices Samsung Galaxy S6 and Galaxy S6 edge in the Mobile World Congress 2015 held at Barcelona. This revelation was a big thing for Samsung because the company had a huge pressure to regain back the lost patrons who switched off from Samsung after Galaxy S5. According to research analysis, the sale of Samsung Galaxy devices dropped below the sale of iPhones because users found Galaxy S5 to be nothing newer than S4. Consequently, nit much users switched from S4 to S5. Thus hugely jeopardized the reputation of the Samsung and so expectation was even higher this time. Speculations made rounds in different sphere that Samsung was working hard on a new secret project codenamed as Project Zero. Now it’s clear that Samsung had to rethink the entire device from scratch in order to keep up with the increasing expectation of users. This article will have the full coverage of the life unpacked event of Galaxy S6 and Galaxy S6 Edge. This time Samsung concentrated its focus mainly on the design of the User Interface, the camera which is claimed to be superior than iPhone 6 Plus, battery life and in-built wireless charging support. 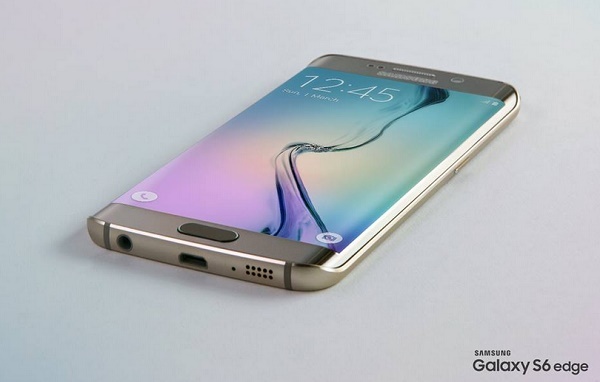 Have a look at the impressive features which will be coming with Galaxy S6 and Galaxy S6 Edge. The body will be crafted in metal and glass which is the first reason to rejoice. Samsung has dropped off the plastic back covering thus giving the gadgets a more intense look and style. The specifications for Samsung Galaxy S6 and Galaxy S6 Edge are almost same except for some extra perks which are bestowed on the Edge. So, definitely the price of Galaxy S6 Edge will be higher compared to S6. S6 Edge will have dual edge display. The phone will be available in numerous metallic shades which are vibrant and electrifying as appeared. The colors available will be Black Sapphire, White pearl, Gold Platinum, Blue Topaz and Green Emerald. 1. Display: 5.1 inch Quad HD Super AMOLED display. 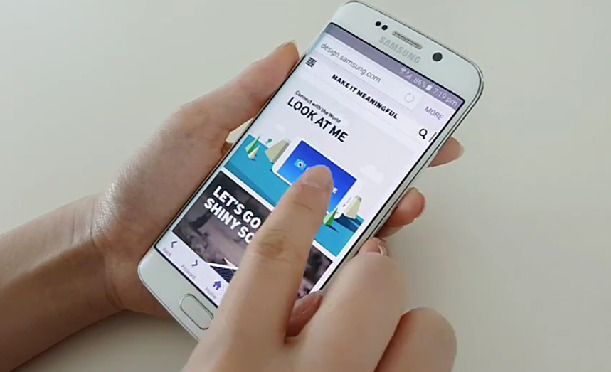 Screen resolution is now 577 pixels per inch, that is 20% brighter than Galaxy S5. 2. Processor: Samsung tried its hands in manufacturing its own mobile processors rather than relying on Qualcomm. The devices will be powered by world’s first 14 nm mobile processor with 64-bit architecture and LPDDR4 memory. 3. Camera: Cameras have been highly revamped. 16 MP primary camera and 5 MP selfie camera will be there with some extra features like Quick launch (as fast as in 0.7 seconds), tracking AF, Smart OIS, Real Time HDR, UHD video recording etc. Samsung claimed that Selfies will be much more clear even at low light conditions. 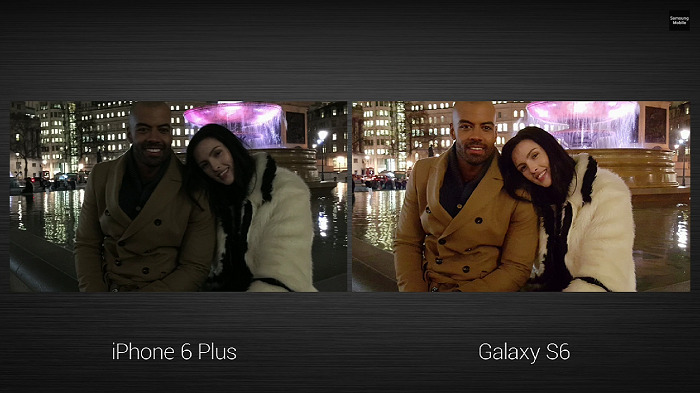 Samsung presented a comparison of images taken by iPhone 6 Plus and Samsung Galaxy S6. 4. Charging is something which you will love Samsung is the improved charging capability. Only 10 minutes of charging can facilitate 4 hours of normal usage of the phones. 5. Wireless charging compatibility is in-built. Overall charging experience will be faster and the time taken will be half compared to its rival iPhone 6, as claimed by the South-Korean company. Samsung has introduced Samsung Pay, which is speculated by many to be the counterpart of its rival’s Apple Pay. So you can use your Galaxy S6 flagship phones to make more easy and secure payment using either of the following technologies- NFC, MST and Barcode scanning. The card will be compatible with Bank of America and American Express. There is an added advantage of Samsung Pay over Apple Pay. Samsung Pay will work with regular magnetic credit card readers. So more online retailers will gain compatibility and it is expected that Samsung pay will gain more acceptance. Samsung will make good use of the curves of S6 Edge. These are People Edge, Information Stream. People Edge- will utilize the curves in making a super quick way to access text messages, calls, contacts and favorites. The improved UI and design will let users to assign colors to contacts so that it becomes easy for users to identify from whom is the call coming, from the colors. The color will flash when an incoming call is being received. If the device is faced upside down, then the sensor will detect it and make related gestures to provide you suitable information. Information Stream will display additional information like time, weather and other selected notifications. The phones will make up to the market by April 16, 2015 at 20 different countries including United kingdom. Sony Xperia Z4 Tablet and Xperia M4 Aqua revealed at MWC, Z4 competition for iPad Air 2? I was a bit disappointed with S5 but I must admit that I am impressed with S6, especially with S6 edge design, I didn’t expect that. Also I like the improved charging capability, but there is no info about battery life, I hope they solved that problem too. And definitely thumbs up for 5MP selfie camera. I think that the S6 Edge is the next revolutionary design in the mobile phones..It is a phone that has 2020 year design..Also the performance on the phone is outstanding..Worlds first 14nm processor,3x times faster memory times than every other flagship device,power on in under 7 seconds..I don’t like the S6,but the S6 Edge is the best phone that has been released ever..